November is poised to be a month full of choices for Chinese mainland movie lovers, as eight imported films, six of which are Hollywood productions, are currently scheduled to make their debut. The high volume of Hollywood films has led many Chinese netizens to jokingly refer to November as "Hollywood protection month." This is the highest number of Hollywood films to be released in November in the past three years. Only four Hollywood films were released in the month during 2016 and 2017. Universal's comedy drama The House with a Clock in its Walls is scheduled to release in the mainland on November 1, followed by Disney's The Nutcracker and The Four Realms and British pet-themed film A Street Cat Named Bob on November 2. Looking at the success of previous Hollywood pet-themed films in China, some film analysts estimate that A Street Cat Named Bob could make around 60 million yuan ($8 million). Venom, the Sony superhero blockbuster featuring the infamous Marvel anti-hero, is set to hit mainland theaters on November 9. Prior to the studio's official release date announcement on October 15, rumor had it that the film, which has so far brought in $461 million worldwide, would release in the mainland on November 2. The news that the PG-13 film had successfully passed review by China's film authorities excited many Chinese movie lovers, who took to the social media platforms to celebrate and discuss how much of the original film will be retained for the mainland release. "It is a PG 13-rated film, hopefully there will be no cuts from the original film," wrote Sina Weibo user Manyou Luji. Chinese entertainment platform Sina Entertainment and several movie bloggers who attended a prescreening of the film on Monday, reported that the mainland edition is practically the same as the North American version save for the removal of an Easter egg from the original film. Another imported film set to debut on the same day as Venom is Japanese animated feature Detective Conan: Zero the Enforcer. The 22nd animated film in the renowned Japanese franchise, Zero the Enforcer is the series' highest-grossing film in Japan and could possibly break the series' mainland box-office record of 81 million yuan earned by 2015's Detective Conan: Sunflowers of Inferno. 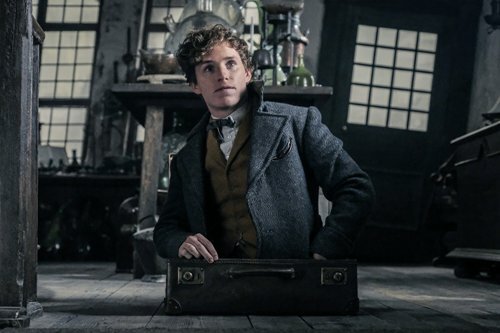 One of Venom's biggest competitors, Warner Bros' Fantastic Beasts: The Crimes of Grindelwald, is scheduled to debut in the mainland on November 16. Some Chinese analysts predict the prequel set in Harry Potter author J.K Rowling's Wizarding World franchise has the potential to bring in 700 million yuan in China, based on the nearly 600 million yuan earned in the mainland by the first film in the prequel series in 2016. A strong competitor that Fantastic Beasts: The Crimes of Grindelwald may have to watch out for is Disney's animated feature Ralph Breaks the Internet, which is scheduled to make its mainland debut on November 23. The 2018 sequel that boasts a cast that includes all 14 Disney princess characters is sure to attract Chinese audiences who grew up watching Disney classics such as Sleeping Beauty and Pocahontas. Following its box-office success in North America, Hollywood rom-com Crazy Rich Asians is set to debut in the mainland on November 30. 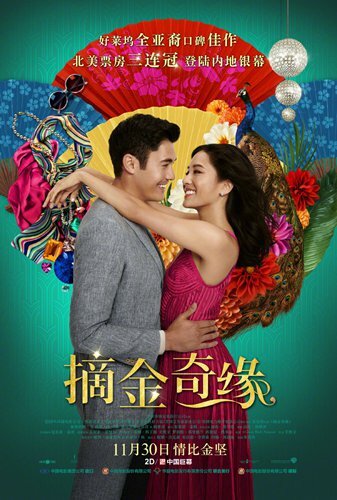 The adaptation of Singaporean-American writer Kevin Kwan's novel of the same name triggered numerous discussions in the mainland after it raked in more than $230 million worldwide. Many Chinese film critics are not very optimistic about the film's outlook in the market, however, mainly due to the film being considered by many reviewers as possessing a "cliché plot" and Chinese audience's lack of sensitivity about "ethnicity." The film currently holds a 6.8/10 on Chinese review platform Douban.